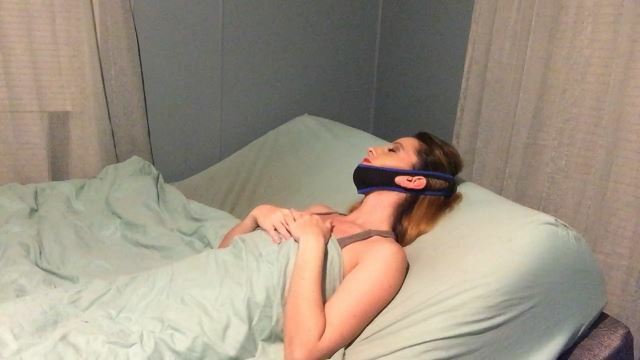 SnoreTek is an adjustable product that works to keep your lower jaw from falling open as you sleep. Since your muscles relax when sleep sets in, this can cause the tongue and soft tissue to fall backward and block the airway. 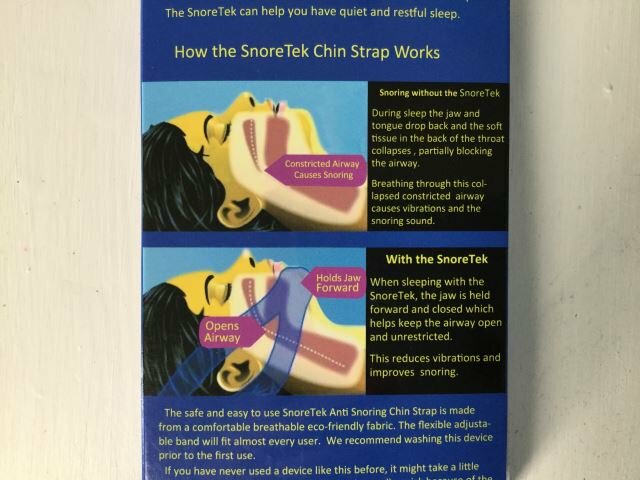 SnoreTek works to keep the jaw held shut to keep this from happening, thus reducing or, ideally, eliminating the vibrations we perceive as snoring. It’s pretty straightforward. I’m happy to report that this product stayed in place very well throughout the night. 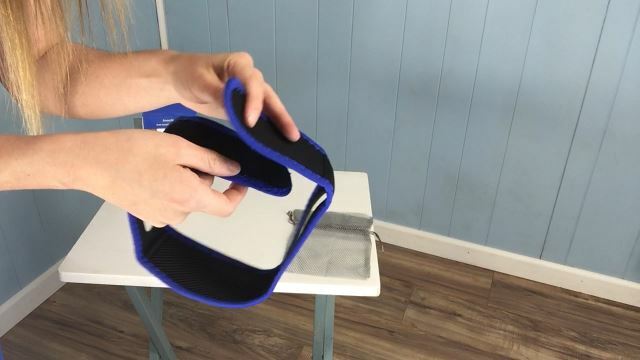 With other chin straps we’ve tried, we’ve found they can be prone to slipping off. As far as stopping snoring, my sleep partner’s snoring episodes were reduced, but not completely eliminated. I think this could be partially due to the fact that he usually naturally sleeps with his mouth closed. He responds very well to mandibular advancement devices that work to move your jaw forward rather than upward. (You can read more about how different types of anti-snoring products work in this informative article.) However, a problem he’s had with various mouthpieces is that they sometimes slip out. When mouthpieces are used in conjunction with the SnoreTek chin strap, we found the combination to be highly effective. Not only did his snoring cease, but we didn’t have to worry about it starting back up in the middle of the night when the mouthpiece would fall out. If you’re a snorer and tend to breathe through your mouth, there’s a good chance the reason for your snoring stems from the loss of structural support your soft tissue and tongue experience when the muscles relax. For many people, simply keeping the mouth closed is enough to keep snoring at bay. 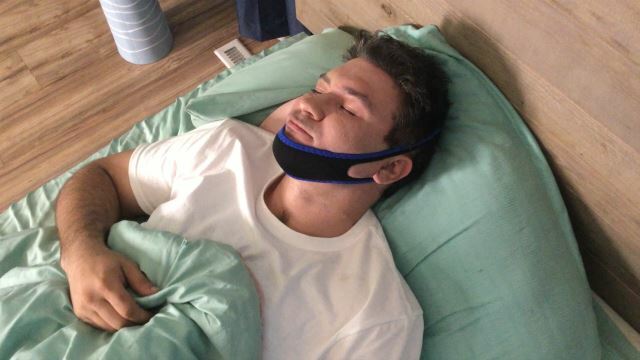 In the case of my sleep partner, he experiences blockage of the airway whether or not his mouth is open, and this is why MADs tend to help as they go the extra mile in keeping the jaw held forward. 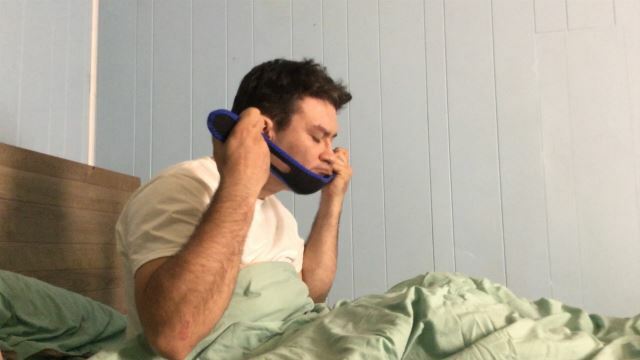 It’s worth noting that, if you’re not sure what level of support your jaw needs, chin straps are more comfortable, and they seem to be designed with the light snorer in mind. 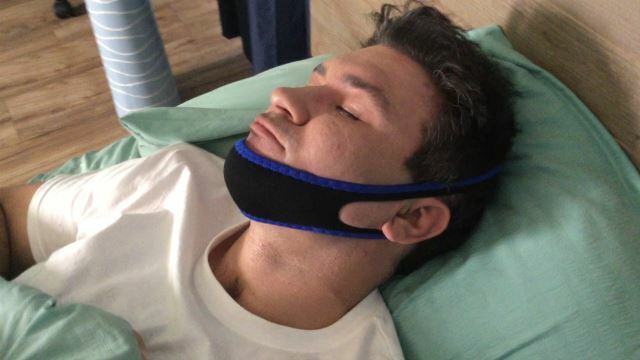 If you don’t feel your snoring is a significant problem or just want to work your way up the totem pole in terms of invasiveness, chin straps are a great place to start. Sewn well. With tracking. Tried on, thought that the mouth will not open, but no-just slightly holds. The color corresponds to the ordered. The material is quite pleasant, very dense. Arrived in perfect condition. Product same as picture. Good product, same as description, fast shipping.